Human behavior is a complicated thing, but many people are intrigued by it. By understanding and studying human behavior, people can help others manage psychological disorders and lead productive lives. 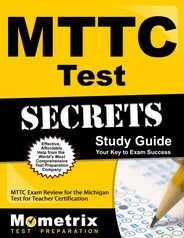 Many Michigan high school students can benefit from psychology classes, but before you can educate these young minds, you must first pass the required MTTC Psychology Exam. The MTTC Psychology Test requires you to answer 100 multiple-choice questions in the allotted time. Depending on the test format, you have two hours and 30 minutes (computer) or four hours and 30 minutes (paper) to complete the test. A minimum score of 220 is required to pass. You will be tested on your knowledge of major ideas in psychology, goals in contemporary psychology, social science study skills, techniques for conducting research projects, psychological measurement techniques, therapeutic and counseling techniques, role of heredity and environment on human development, prenatal and infancy stages, childhood development and development during adolescence and adulthood. The exam also covers biological bases of behavior, sensation and perception, states of consciousness, principles of learning, memory and language, theories of motivation, types of human emotion, theories of personality, conflict and other forms of stress, abnormal behavior, treatment of psychological disorders, groups and self-concept, attitude formation, persuasion and conformity, and social interaction. Need help studying? First, take the MTTC Psychology Practice Test. This free study tool was developed by the Mometrix Test Prep Team to help you understand where your strengths and weaknesses lie. You’ll quickly get a feel for the test format and types of questions to expect so you’re not caught off guard. 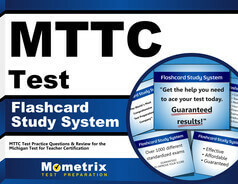 For more help, take a look at the MTTC Psychology Test and get a head start on your studying. The helpful study tips and thorough breakdown of each subarea will help you gain confidence and make test day a success.